Now a days mortgage loan is a popular term but it has its benefits as well as losses because taking a loan on the guarantee of your property as a is not a joke.But still it has more benefits than loss. Introduction : Mortgage loan is a loan which you can take on behalf of your house. If you need money on a big extent then you can go for mortgage loan. Mortgage loan will give the assurance to the lenders that you you will them the money back . 1. Fixed rate mortgage loan : This is the father of all types of mortgage loans . In this you can get the option the option to choose from 10 year, 15 year, 20 year , to even more fixed rate mortgage . It is completely amortized. 2. VA loans : This is an government loan and given to only those people who have served in the united states. The people belongs to army or like on other government services can get the benefit of it , in some cases their spouse can also get the benefit of this loan. The criteria of this loan varies from the year of service of the employee and if he/she is retires then the retirement was honorable or dishonorable . The main benefit of this loan is the borrower no need to give any down payment as well the guarantee of the loan given by the department of Veteran Affairs. 3. Interest only mortgage loans : Interest only mortgage loan are not fully interest only loans. It means the borrower pay the interest on the loan. In this loan you can get an option to pay only interest payment but the offer remains for a limited time period. The above given types was the major types of mortgage loans , except these there are lot of mortgage loans in recent times like - arm mortgage , adjustable rate mortgage , equity mortgage , reverse mortgage etc. And I will also give you information on those terms in future. 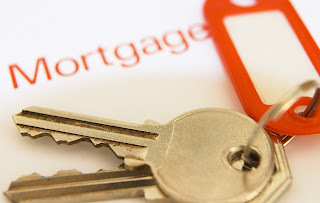 Follow my blog for more information on mortgage and mortgage related matters in future. I think you should have included FHA loans in this initial post.People who are facing divorce and working with a divorce lawyer will soon need a new home, and FHA offers options that conventional fixed rate loans don't.